After a couple of rather difficult work weeks, some old friends popped into town with their kids. We spent yesterday together at Disneyland. It was a fun day with fun people and I’m not too proud to admit I rode It’s a Small World twice. The Disney trend this year is over-sized plastic characters filled with candy covered popcorn. Now, what could possibly cheer me up more than a ginormous popcorn-filled Mr. Potato Head? A ginormous Mr. 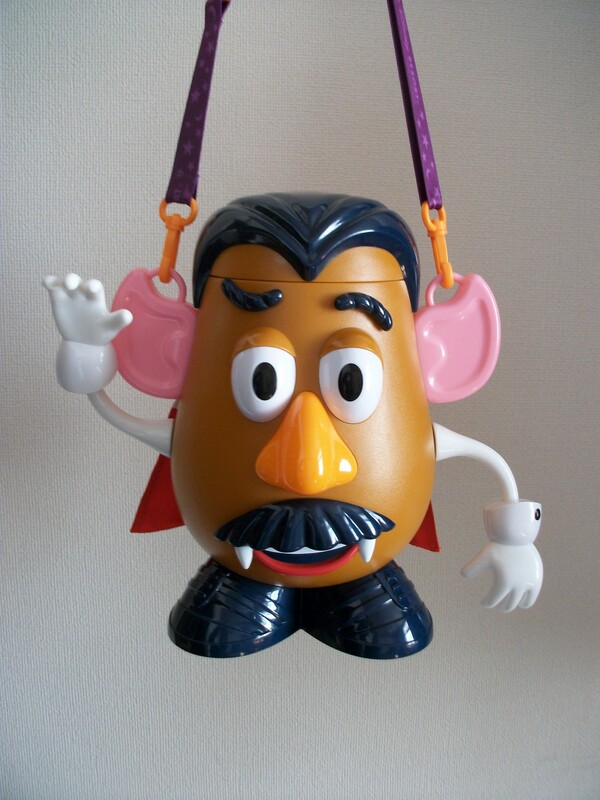 Potato Head dressed up as Dracula and giving a high five, of course! During this morning’s meditation, I noticed the kink I’d had in my neck for the past few weeks was gone. Chalk it up to Disneyland. And friends. And kids. And Potato Therapy.